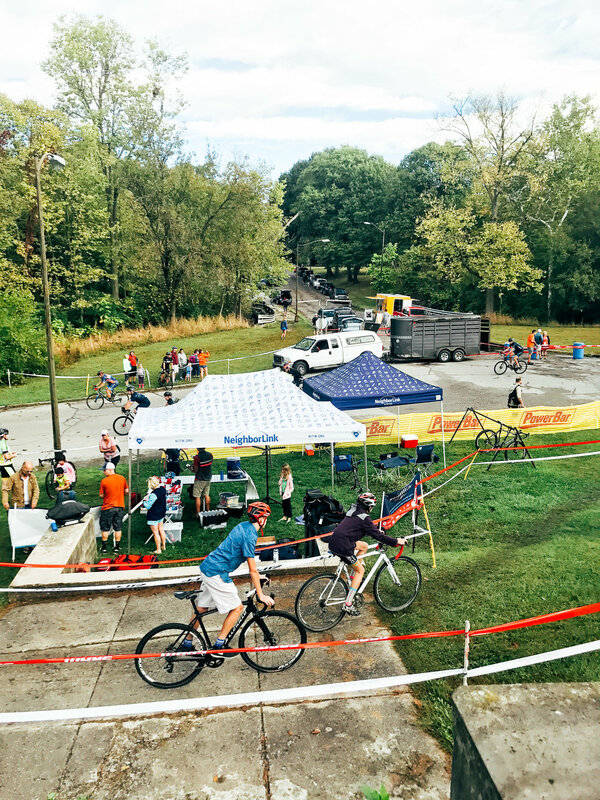 Another brilliant Sunday at the 3rd race of the Ohio Valley Cyclocross series held at the iconic Brookside Park, which held its 19th consecutive year of CX racing. 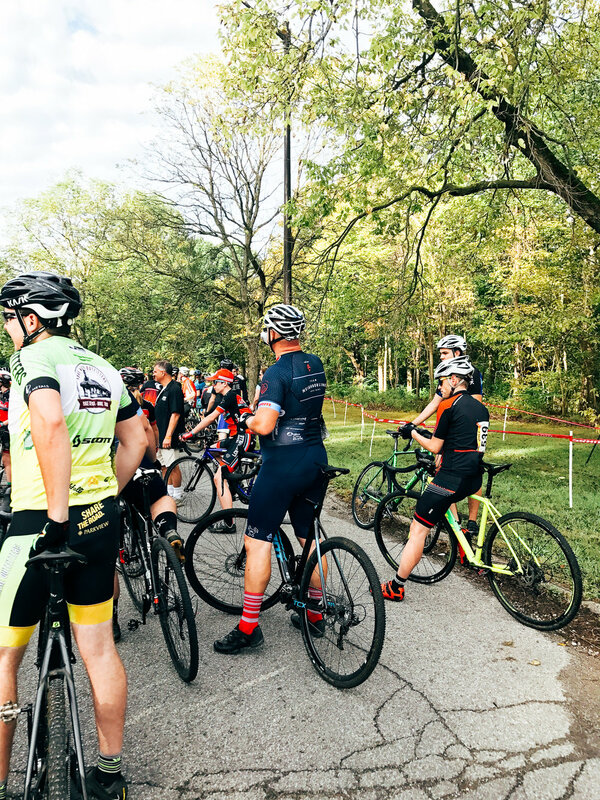 Huge thanks to the Speedway Wheelmen for taking on the event organizer role and creating/managing another great course that features some technical 180 off-cambers, some long power sections, and the long 2-story stair runnup. Over 400 registered riders joined in the fun this weekend. The racing started with wet grass from the overnight rain, transitioned to dry and tacky for the bulk of the day, and turned back to slick, muddy just as the elite men took to the course thanks to a steady, light rain. Cross is always unpredictable. TNLCX is having a blast, but we're still figuring out this whole CX race weekend thing. Because our primary goals as a team revolve around building community, raising awareness, and hopefully raising some dollars, we keep thinking about to make our team area better, what new merchandise we want to create, and how we can think of creative ways to engage with everyone to not only to draw attention to mission, but to contribute to the overall culture of CX racing. We're only in our second season, but we sense that there is great opportunity to jump right in and throw a little fuel on the fire of what makes the race weekends so fun and what other teams have been doing for years before us. The best part is how many other teams are trying to do the same thing in their own way, which makes standing around for an entire day worth it. With that said, we saw a perfect opportunity to create some banners that are fun, encouraging, and full of CX related humor. We're not sure that these would work anywhere else but a cross race, but that's the fun. 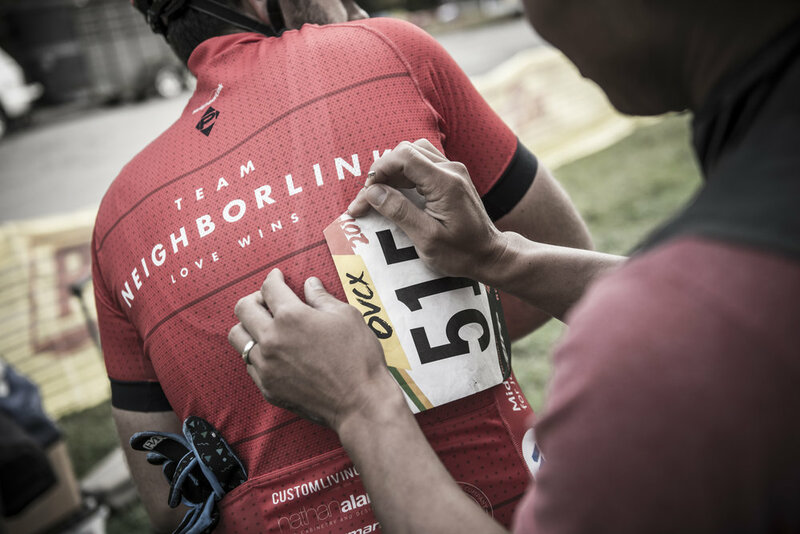 If they make a rider smile, a spectator throw up a high five, or help a disconnected rider find community with us on race day, then we're succeeding. We also decided to bring a grill, some Jonsonville brats, some veggie burgers, and some Aunt Millie's stadium buns (Thanks Aunt Millie's for donating these!). Race weekends start at 8:30a for us and go up until 5pm, which leaves us pretty hungry and ready to move on from the energy bars. So, we decided that our team has to eat and our friends around us need to eat as well and we should just bring lunch. This idea went over well as we grilled out right in the middle of the racing action. 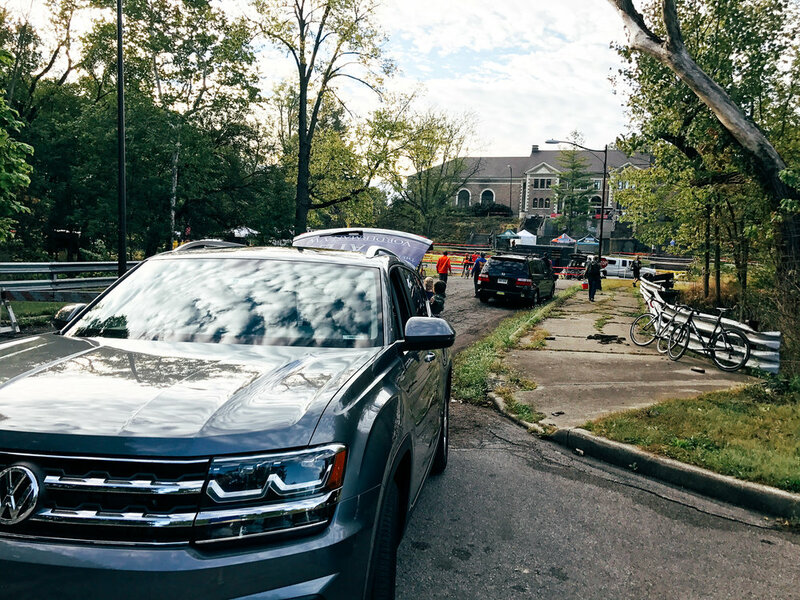 Sorry riders if that was too tempting or annoying as you rode by, but we hope it was a welcomed distraction from the suffering. All of these little additions make our experience and hopefully the experience around us that much better. They create a lot more work for us and are now requiring us to pack a couple of cars rather than one, but we're seeing the results as we see more and more riders stopping by to learn more or buy some merchandise. A huge thanks goes out to Michael Carsten and David Park who helped get everything to the races and manage the booth on Sunday. It takes a team to make this all work. We have a great group of teammates that are always asking to and offering help throughout the day to make it all work. We're looking forward to diving into the rest of the season as race weekends pick up to every weekend from here until Thanksgiving. 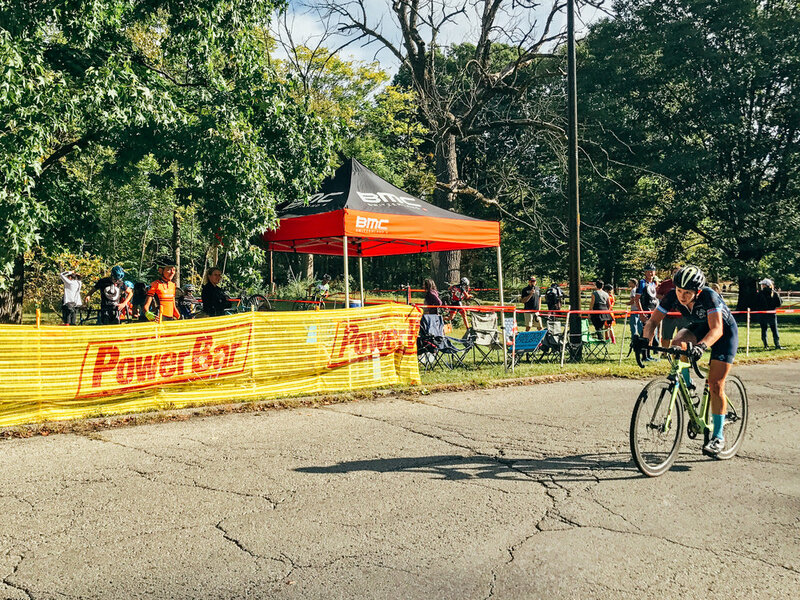 We'll be in Yellow Springs, OH next weekend for the John Bryan CX race. Hope to see you there. Always great to see a few podiums in there, but even better to see everyone progressing up the standings each race. Well done, squad.